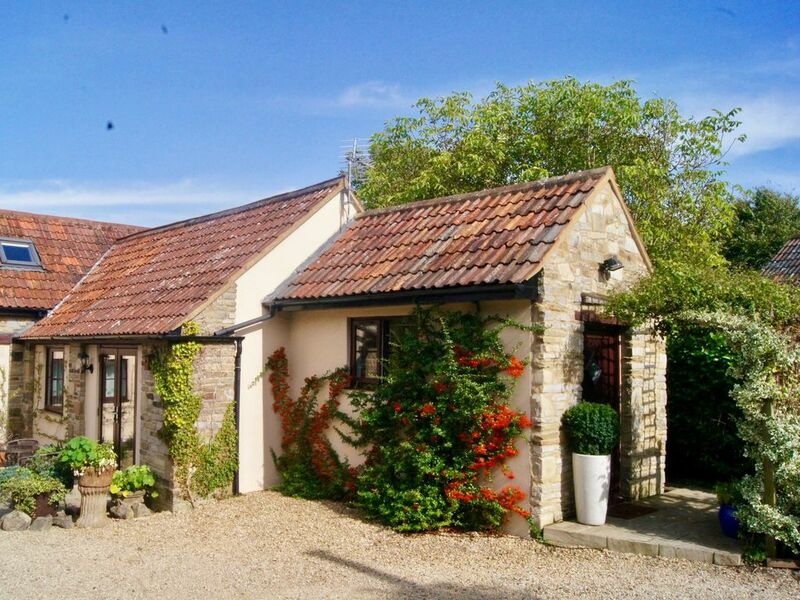 Located just two miles from the village of Wedmore which lies between the Somerset Levels and the Mendip Hills and has a variety of restaurants and a delicatessen. You will have a vast choice of walks cycle routes fishing and birdwatching sites Ham Wall being only eight miles away to choose from. Close to Wells with its famous cathedral and shopping area and Burnham-on-Sea with its golden sandy beaches seaside shops restaurants and Cheddar with its famous Gorge to the north. You will be within easy driving distance of the cities of Bristol and Bath offering extensive shopping facilities theatres cinemas museums bars and restaurants. You will also be nearby to Glastonbury and Street with Clarks Village. The property has been converted from a stone barn and includes features such as exposed beam ceilings and some exposed stone walls. On entering the property you are met by the kitchen/diner which is perfect for cooking some delicious treats after a long walk in the beautiful Somerset countryside. The kitchen is well-equipped and has an electric oven and hob microwave fridge/freezer dishwasher and washing machine. A few steps down bring you into the lounge where you can relax in front of the woodburner with a book or enjoy watching your favourite TV programme from the lounge there are French doors opening onto the small terrace. The bedroom offers a double bed TV and an en-suite shower and WC. Venturing outside you will find yourself on the sunny small terrace within the shared courtyard. You will have your own outside seating which is perfect to enjoy your morning coffee or a glass of wine in the evenings. There is always a secluded spot to enjoy some alfresco dining being set in a couple of acres with a mature orchard leading down to a stream which you are very welcome to use and explore. There is also off-road parking for 1 car (further by arrangement) approximately 50 yards from the property along a level path.